Before joining Dhofar University she taught in countries like India and Trinidad, West indies. During her previous teaching experience, she had an opportunity to teach a wide spectrum of business management subjects to graduate students. She was the deputy director of the doctoral program and was responsible for conducting course work for the doctoral students, scheduling, conducting seminars and guiding them through the dissertation process. She also was heading the Industry Internship Process at the University taking care of student advising and academic requirements of student’s project and dissertation work. 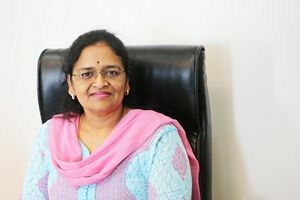 She also has administrative experience of four years as an academic coordinator and during that period, she was involved in monitoring all academic activities of the institution, coordinated the academic activities of various departments, prepared and liaised with regional office and head office, besides ensuring proper conduct of classes and examinations at the internal and university levels, preparing MIS reports and industry interface by arranging guest lectures. Staff Welfare Committee in the College of Commerce and Business Administration. In Recruitment and Selection Committee and Curriculum Committee in the Department of Accounting and Finance.